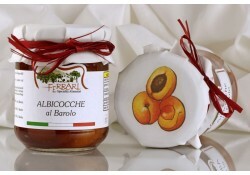 The kernels are removed by hand and the fruit is placed in jars and preserved in superb Barolo wine. They are also available in versions with Langhe Arneis wine. Recipe: Fabulous as a dessert served with a cup of ice-cream. 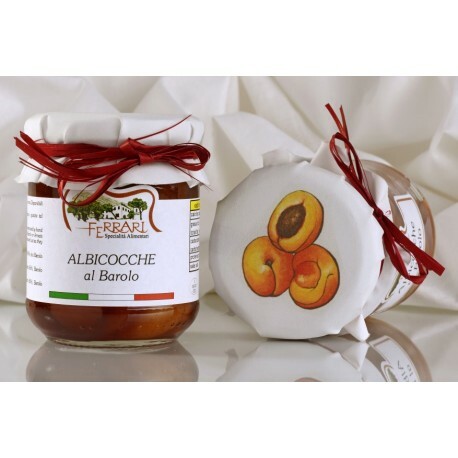 Ingredients: apricots (65%), Barolo DOCG wine (15%), water, sugar. Countains sulfites. May contain treces of nuts, gluten.